Read Phil Jackson the legendary NBA coach’s memoir. 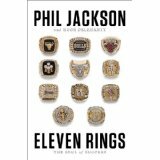 His story is not only a first person account of historic achievements in NBA history, but also provides intimate insight into how a he relentlessly strove for personal self understanding, built wildly successful teams and motivated difficult personalities to become stellar team players. 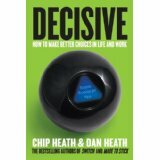 Ever feel paralyzed by the prospect of making an important decision, or deeply regret a decision made in haste? This book if for you, but it is not simply a self help book. It is a book soundly grounded in social science research made accessible by the authors’ wit and engaging writing style. Reading this book is a decision you ought not to anguish over. 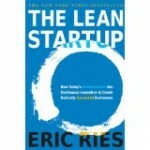 Eric Ries the author is a serial entrepreneur, blogger and and Harvard Business School entrepreneur in residence. In this book he distills what he’s learned about creating new businesses nimbly under typically rapid fire change conditions. He describes how to adapt efficacious management tools such as minimum viable product, prototyping, feedback loops, and genchi gembutsu, and abandoning poorly suited tools such as traditional business plans. A great read for all those VSEC competitors out there! Adam Grant, Harvard Business School professor and award winning teacher, explores how personality types on a continuum of personal altruism from takers, matchers and givers fair in terms of overall success and in particular arenas such as communication, motivation and collaboration. 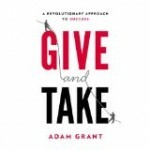 Because Grant’s research method is narrative based this is an easy and fun read perfect for when you want to kick back and relax.